You need fancy clothes for weddings. You need sequin-clad swimsuits with matching swim caps for synchronized swimming competitions. But most of all, you need clothes for when you're just being you. 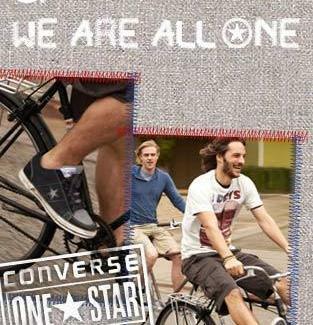 For those times -- which are hopefully most times -- grab Converse One Star from Target. Bearing a name that's been proudly worn by everyone from pro ballers to punk rockers, this collection of shoes, hoodies, jeans, button-ups, and everything else captures a casually spontaneous spirit, allowing you to be instantly ready for a crazy night out, even if you'd been planning a night on the couch eating crazy amounts of take-out. Whatever ensemble you go with, the effect will be one of timeless, uncomplicated cool, unlike an endothermic reaction, which is a very complicated cool barely understood by graduate students in whatever science studies that sort of thing. Head to Target.com/OneStar for the perfect clothes to complement your daily routine -- as long as it's not a routine of choreographed water dancing, you'll find what you need to be good to go.